I'm not one to veer towards cover sticks in general in the past, as I tend to prefer liquid based foundations (they are more lightweight and blend easier in my opinion). That being said, that isn't a good enough reason not to try some out. Besides, stick foundations do make a better travelling companion as compared to liquids as well. 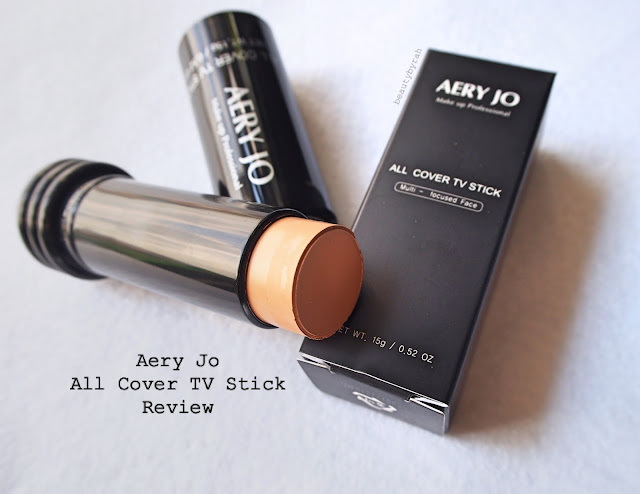 Recently, I've been trying out the Aery Jo All Cover TV Stick. As mentioned in my previous review of their auto eyebrow pencil, Aery Jo is a Korean Makeup Academy which produces their own range of cosmetics. This All Cover TV Stick is said to provide full coverage, making it ideal for stage makeup. I could not find any more information regarding the product online, such as ingredients list and suggested method of application. The cover stick comes in a black plastic cylinder with a pull off cap. 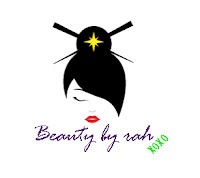 This is a twist up, so it is very convenient to dispense some product onto the skin. As I am no longer freelancing, I just simply apply the product straight onto my skin. It glides on easily and I do not find it tugging on the skin. I like to use a dense kabuki face brush to blend this out as it has the ability to spread the product evenly across the skin without any patches. A sponge may not work as well here, as the product has less "slide" to it, if you know what I mean. Blending went without a hitch. However, as compared to the claims, I'd say this is at most, medium coverage. The first layer did even out my skin tone but failed to cover my imperfections. I did apply a second layer in attempt to build up the coverage (as I do have some acne scarring and blemishes that I would like to conceal) and the coverage isn't fantastic. My scars do peek through quite a bit. It does blend well, despite the second layer, so no patchiness was formed. Perhaps for koreans with their impeccable skin, this cover stick is dubbed as sufficient as they barely require intense coverage at all. 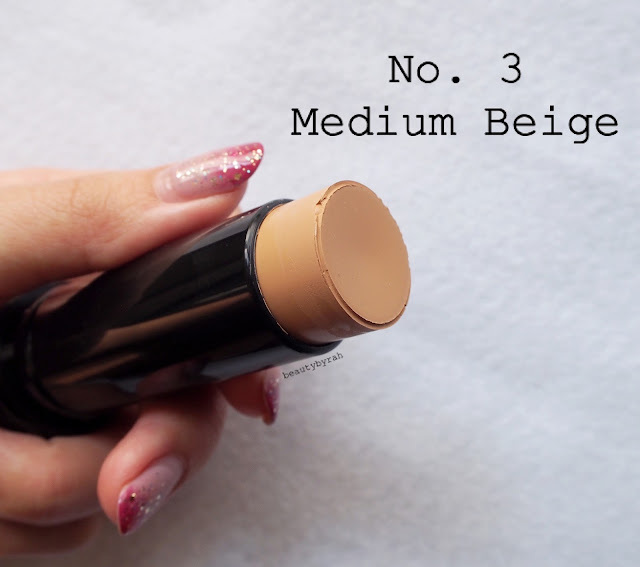 However, for me, I would say this cover stick is light to buildable medium coverage. I had to double back with a concealer for my scars and imperfections after. Despite it being a stick foundation, I did not find that this sat heavily on my skin. In fact, it was pretty lightweight if I compare it to some of my other liquid foundations. This would do well in a everyday situation for people who have pretty good skin (or those who just want to even out their skin tone). I got mine in the shade medium beige (no. 3) and I do find it to be a good match to my NC20-25 skin tone. It is not ashy nor does it have a grey undertone to it. It leans on the warmer undertone as well, making it great for asian skin tones. In addition, it does not oxidise through out the day so that is a plus point as well. The other shades available are No. 1 Light Beige and No. 5 Dark Beige. 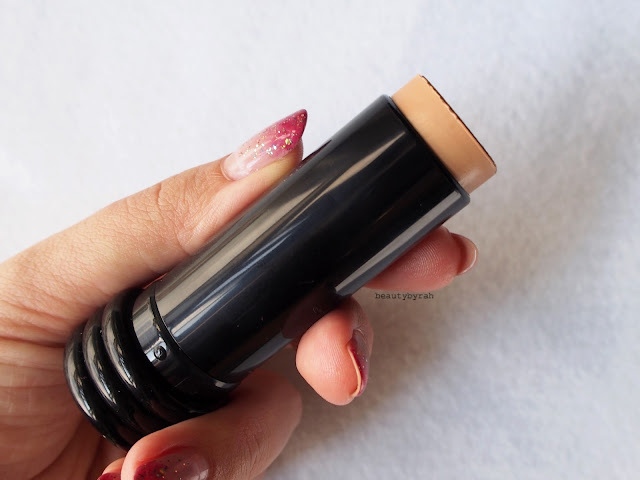 Overall, I am enjoying the convenience of this cover stick and would probably pop it in my makeup bag when I'm travelling in the next few months! This retails for SGD$33.90 on Koreanup.com. Thanks for dropping by! Xo.